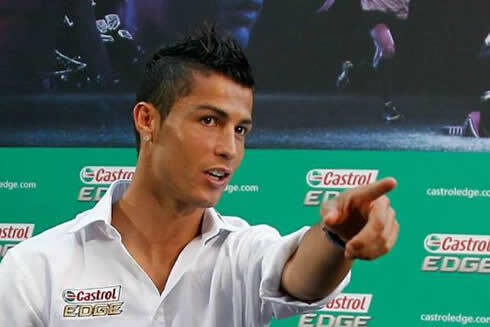 ﻿ Cristiano Ronaldo: "There are days where it isn't easy being me"
10.09.2011 » Cristiano Ronaldo: "There are days where it isn't easy being me"
This week was definately prone to interviews and marketing actions, as Cristiano Ronaldo granted another yesterday, to Spanish newspaper Marca. CR7 confesses that not all days are a bed of roses and sometimes it's not easy to be him. Finishing this week's rampage of interviews, Cristiano Ronaldo talked with Spanish media Marca and gave a few of his insights on what's coming ahead this season. Ronaldo has been very busy this week, dividing his time between practice sessions in Valdebeba (Real Madrid training camp) and several interviews and marketing campaigns. 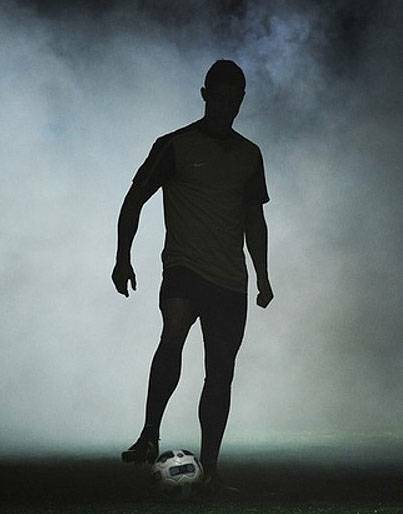 One of them was the Castrol Edge film launching: Cristiano Ronaldo - Tested to the limit, which you'll be able to watch and download in a few hours, inside the videos and documentaries section. Cristiano Ronaldo is aware that many Real Madrid fans are relying on his capabilities and skills to drive the club to glory this season, especially after the individual performances he had last year. However, Ronaldo outlined that the biggest pressure he feels, isn't set by the fans, but rather by himself: "I don't worry too much with the pressure coming from the crowd, because my way of being already makes me being very demanding with myself. I care only about playing my football and if I manage to score, then better, but if not and Real Madrid wins, then it's also perfect." Cristiano Ronaldo: "I always try to do the best possible, like it happened last season, but let's see if this time I can beat my own records set last year. I'm not worried with that at all." assured Ronaldo, when commenting the possibility of keep making history by setting new standards and records in this sport. A couple days ago, Cristiano Ronaldo mentioned how important it would be this year, for Real Madrid to win a big title like La Liga or the UEFA Champions League, and the Portuguese player emphasized it once more: "Our priority is, without any doubts, to win La Liga or the UEFA Champions League. Real Madrid is like a family to me. We're now stronger and more mature than we were last year, so I believe this can be Real Madrid year. ", said Ronaldo before making a note that this year's La Liga could have a new challenger for the title besides Real Madrid and Barcelona, which would be Valencia CF. In a side-topic, Cristiano Ronaldo was also asked to comment on the controversy that happened between Ricardo Carvalho and Pepe in the Portuguese National Team last week. CR7 added on this matter: "Ricardo Carvalho made an error, the same way I make mistakes too and we all do at some point of our lives. I spoke with Pepe and Carvalho last Tuesday and I saw no problem at all in their relationship and friendship. If there wasn't a good and proper relation between them, it could actually be a problem for the team. We need that all the players in Real Madrid get along really well and keep on great shape during the entire season." Before ending the interview, Cristiano Ronaldo talked for a few instances about the negative aspect of being famous, which is most of the times despised by those who aspire to be professional football players or having success in their lives. Ronaldo: "There are days where it's not easy to be Cristiano, because you the wish to do normal things and you simply can't. But I've learned to live with this sort of restrictions and to be honest, that's how I feel good with my life. I like genuinely being myself and have fun, both in my professional career as in my private life." Real Madrid will play their 2nd match for La Liga against Getafe today, 10th of September. You can watch Juventus live stream, Real Madrid vs Getafe live streams, in our Live Games Streams section. Cristiano Ronaldo will be on the line-up. The countdown clock timer, displaying the time left for the next Ronaldo game, is shown on the top right corner of all pages. 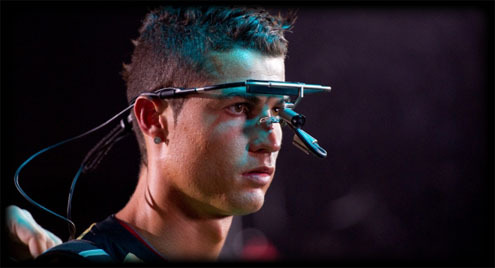 We'll leave you with a few more pictures from Cristiano Ronaldo participation in Castrol Edge documentary: Tested to the limit.